To tell it plain and simple, the iMac is the best computer I ever owned. 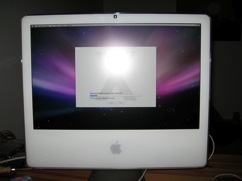 I bought mine directly after the intel iMacs had been reworked for the first time. Decent speed, super quiet, super portable, super display. I did the memory upgrade quite soon (who wants to live with 1GB of RAM nowadays? ), which was very easy. But time passed, and the original 250GB of hard disk space wasn’t sufficient any more. I bought a 1TB sata drive (Samsung Spinpoint F1 HD103UJ) as an upgrade. I did my upgrade based on this howto, which helped me a lot. 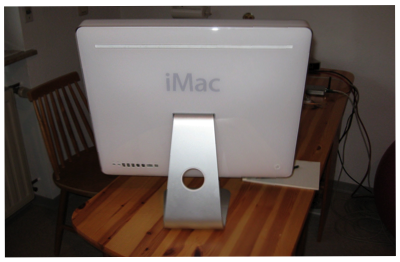 It deals with the older version of the intel iMac, but the internal structure remained quite similar. So maybe this helps someone with an aluminum iMac, too. You might want to read it first, since I focus on the differences to the steps taken there. Just some disclaimer: Only do this if you know what your doing. You’ll disassemble your beloved iMac, you might kill it this way. Although on the outside everything is shiny, this operation will leave traces in the inside that you can neither avoid nor hide. This might break your warranty (if you have any warranty left, at all). And you need a lot of free space. The first step takes place exactly like in the above mentioned howto. Place the iMac on the LCD side, and release all 6 screws (4 TORX and 2 cross-tip) at the bottom side. Take notes about which screw goes where, since the TORX screws have different lengths. Then turn the iMac and place it on its back side. Starting at the two bottom edges, lift up the white front cover plate. And watch for the two grey levers in the memory slot, you need to push them in while lifting the cover plate. Unlike in the predecessor, the front cover plate is fixed by 2 metal levers in the 2 upper corners. The picture to the left shows one of them. The hooks hold the front cover in place, so you can’t completely remove it at the top edge before releasing these 2 levers! The black shielding foil has to come off, like explained in the other howto. You need to remove it from left, top and right side of the LCD. At the left and right side, remove the black foil and leave the silver foil untouched. At the top side, you can not completely remove it by now, 2 rubber blocks prevent you from that. For now, just release as much of the foil as possible. 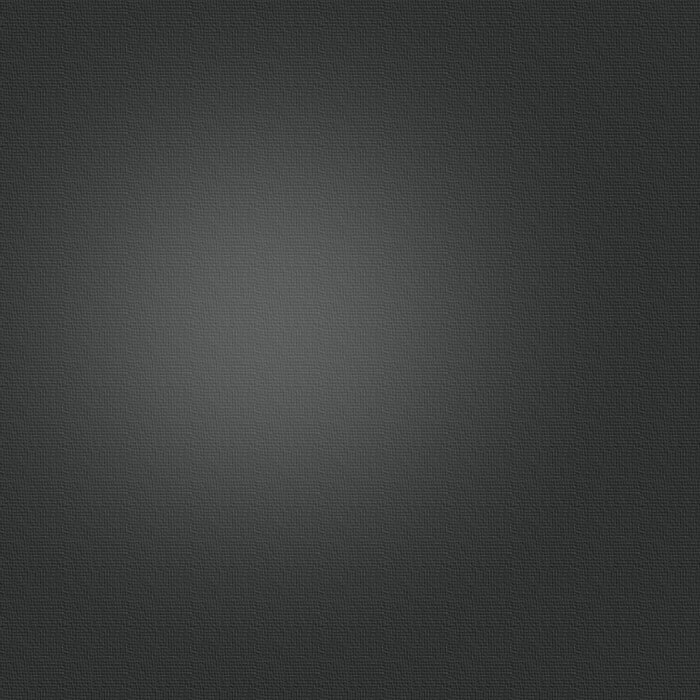 At the bottom side, you need to lift up the black material like described in the howto. I couldn’t do so without ripping the foil up. But don’t worry, this will not harm functionality. Now remove the 4 TORX screws holding the LCD. They are located in the 4 notches in the metal frame holding the LCD. The bottom left one is a bit critical: there is some foam plastic between the notch and the screw, I had to remove that with a tiny screwdriver and forceps. After that the LCD comes off. Lift it up by pulling on the black foil in the bottom part. Release the black foil at the top. The display is held by 3 connectors, 2 at the left side and the main LCD connector. The two connectors at the left side can be unplugged, and you need to do so before you can place the display at a safe location. I placed it inside the iMac’s foot and avoided folding the LCD connector with a packet of hankies (see picture). Now the hard drive is accessible, and replacing it is fairly simple. Don’t forget the thermal sensor that is attached to it. I didn’t have thermal conductive glue, so I took heat-conductive paste like it is used for CPU coolers. I fixed it with a strip of adhesive tape. Since you don’t want this to fall off later, be sure to use some high quality tape you can trust to hold this part in place for years. Put back the front cover plate, insert the 6 screws at the bottom, and you’re done. When booting up with an OSX installer DVD, don’t forget that you have to invoke the disk utility and create a partition before the installer offers you this disk as a target. Now everything is fine. The Samsung Spinpoint F1 HD103UJ drive is cooler, faster and more quiet than the original Western Digital WD2500JS. The whole “operation” took about 90 minutes, inclusively preparing the tools and taking pictures. Unlike the iMac G5, upgrading other parts than the RAM is very tricky for the intel iMacs. You have to disassemble your computer and by this you certainly void any warranty.